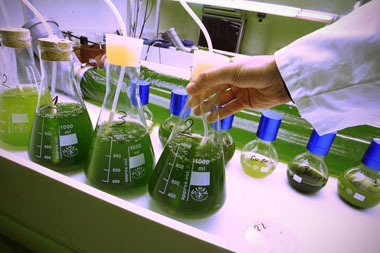 AlgEn is committed to be an active participant in the blooming area of algal technologies. Internal research and development activities are being complemented by components and know-how of partners into effective solutions. are but a few things algae can do for us. Some of these applications are being introduced into practical and economic deployment, others are still lacking some pieces of the technological (and economical) puzzle. And these pieces of technology are being developed at many places around the world. Due to complexity of the technology we do not expect a single breaktrough solution, many different innovations will have to be integrated into the world-changing technology. AlgEn is committed to provide its own innovative contributions integrated with the best available technologies developed elsewhere into state-of-the-future-art solutions. 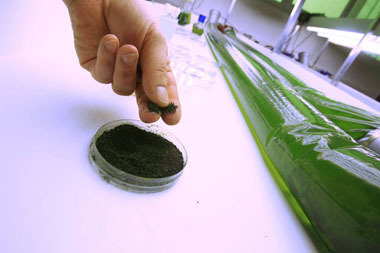 Research & development of biotechnologies connected to algae dates back for at least 50 years. While the scientific area of phycology has been progressing steadily, the biotechnology aspects is gaining and loosing popularity in waves. This is another evidence that the technological problems are far from being simple, but their solution has a high potential in many application areas. AlgEn is active on different projects, some of them are listed in our application portfolio.